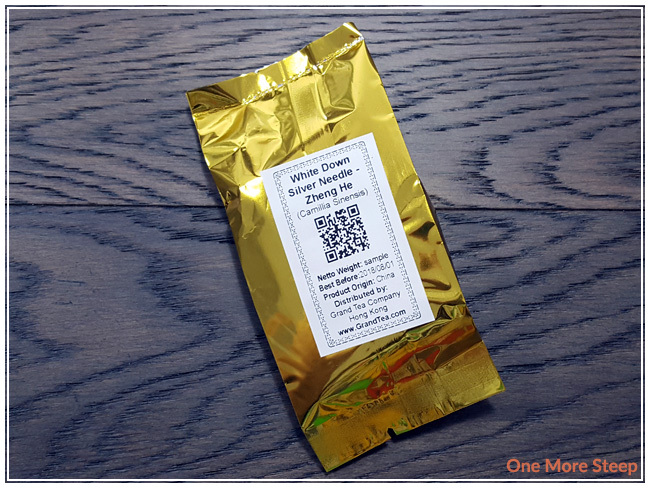 Grand Tea has provided me with White Down Silver Needle – Zheng He for the purposes of providing an honest review. Another silver needle white tea from Grand Tea to try and review and I couldn’t be more please. 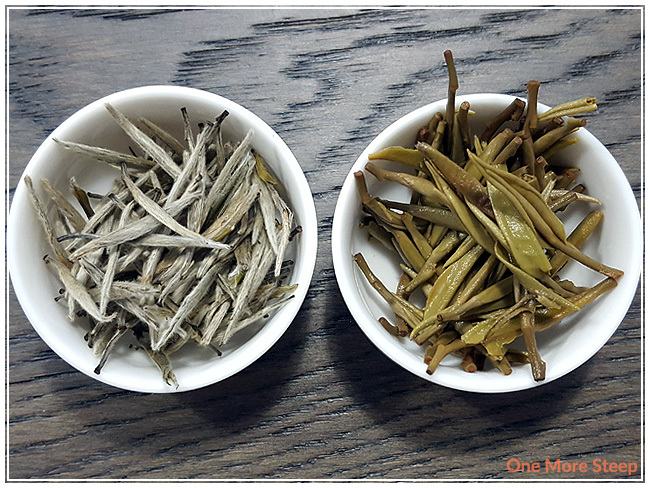 Similarly from an earlier review (White Down Silver Needle – Fuding), White Down Silver Needle – Zheng He is from the Fujian Province of China and is an expensive form of tea due to the fact that it’s young buds harvested early in the growing season. 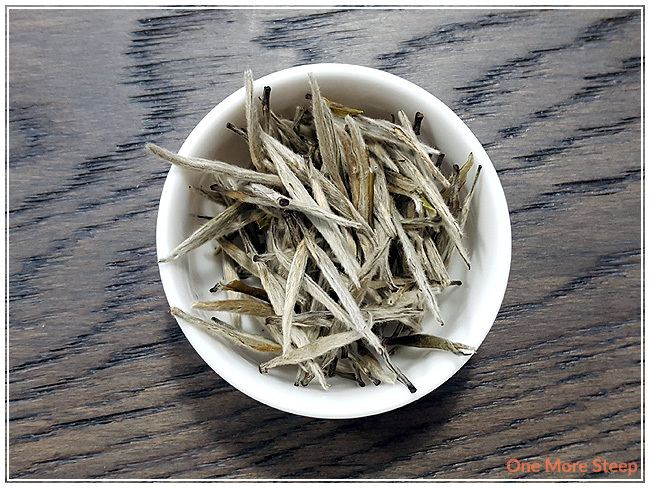 White Down Silver Needle – Zheng He is a very soft tea! There’s a lot of tiny feathery hairs on these leaves and it’s kitten-soft to the touch. The dry leaf has a subtle aroma to it that reminds me a bit of dragonfruit – just a hint of light fruity sweetness. Grand Tea recommends steeping White Down Silver Needle – Zheng He in 70-80°C (158-176°F) for 2-3 minutes and no longer than 5 minutes. My initial steep of this silver needle was for 2 minutes. White Down Silver Needle – Zheng He steeps to a very pale yellow. The aroma that comes up from this tea still reminds me of dragon fruit, but then there’s some additional aromas as well. I get a bit of cantaloupe and cucumber from this tea, and just a light honey sweetness from the fragrance of this steeped tea. Luckily, this silver needle does not disappoint on flavour. I taste a mix of dragon fruit with the freshness of cucumber flavour, along with just a bit of sweetness that reminds me of honey. This tea is much like the other silver needle I reviewed recently from Grand Tea in that it has a thickened texture, despite being thin. It winds up being a nice full mouthfeel to this tea when I drink it with zero bitterness or astringency. I resteeped White Down Silver Needle – Zheng He a total of five times (six steeps total), increasing the steep time by about 45 seconds per additional steep. I found that the first resteep was the deepest in colour – it became a bright golden yellow. The flavours of this tea intensified as I steeped it, and reached a peak in flavour by the second and third resteeps. I found that the cantaloupe flavour was at its strongest, and balanced well with the freshness of the cucumber flavours and the light honeyed sweetness in the background. 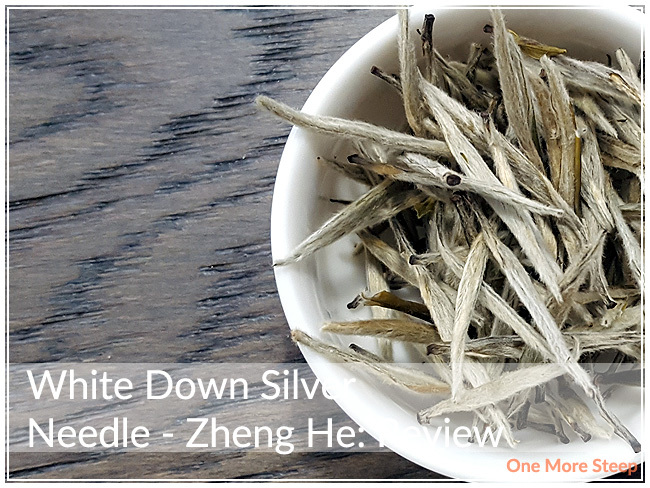 I loved Grand Tea’s White Down Silver Needle – Zheng He. I might even say that it was more enjoyable than the other recent silver needle review I did for Grand Tea because I love the added freshness that the cucumber flavours add to this tea. 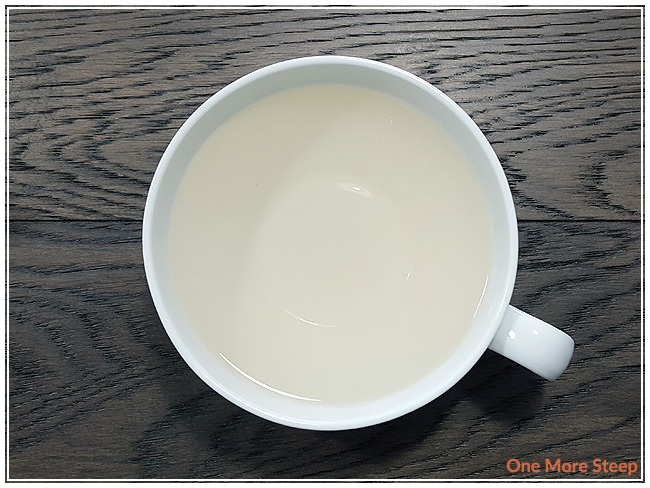 The flavours of this straight white tea are wonderfully complex and a delight for the taste buds. I love how the subtle changes led to a different balance of aromas and flavours in this silver needle and I really enjoyed steeping it again and again to see how each steep would differ. I had this tea while having lunch and it paired quite nicely with both my savoury meal and the fruit that I had afterwards, so it would be a good option to pair with dessert as well.